Because of their keen perceptiveness, INFJs are rarely fooled by facades or fakery. They can readily see beyond appearances and apprehend an individual’s deeper motives and intentions, including any underlying ego issues. 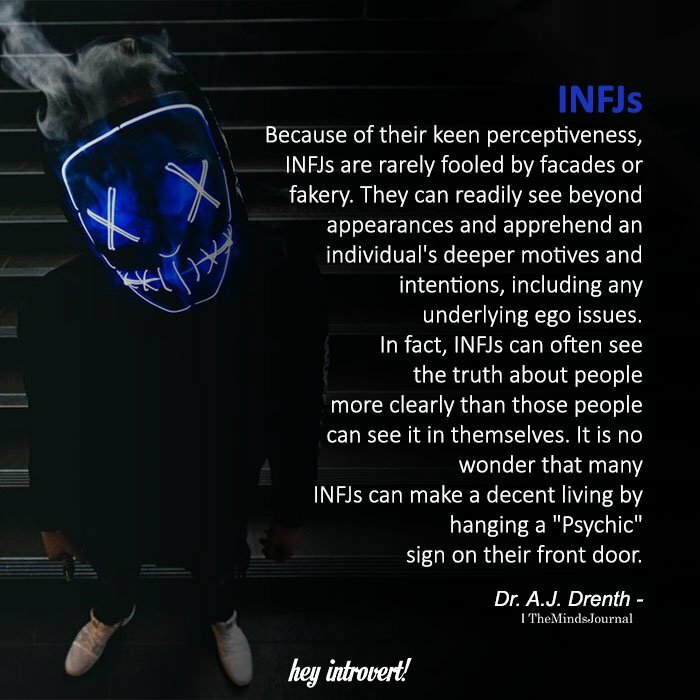 In fact, INFJs can often see the truth about people more clearly than those people can see it in themselves. It is no wonder that many INFJs can make a decent living by hanging a “Psychic” sign on their front door.